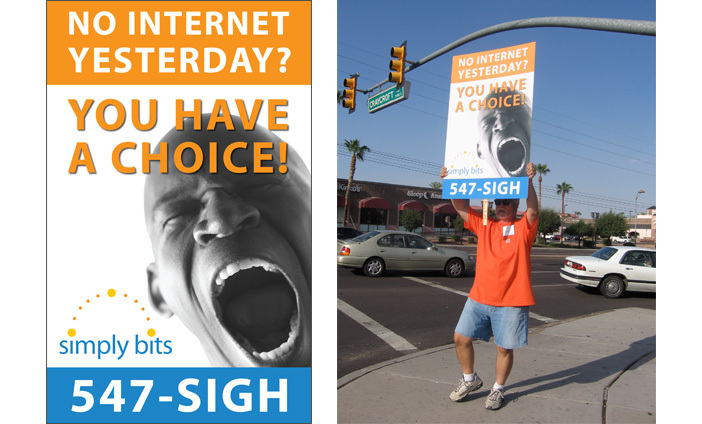 Tucson-based provider of internet access and other broadband applications. 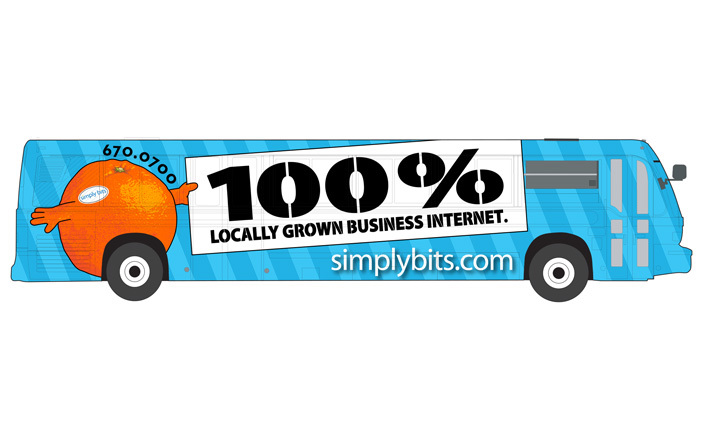 After one of Tucson's large internet providers experienced a major outage, Simply Bits seized the opportunity to tout their service benefits to the businesses who'd been shut down for half a day. They asked us to help and do something. Within hours we mobilized a team, armed them with large posters and stationed them at major commuter intersections by the next morning's rush hour. More than a dozen clients were gained from that event alone.